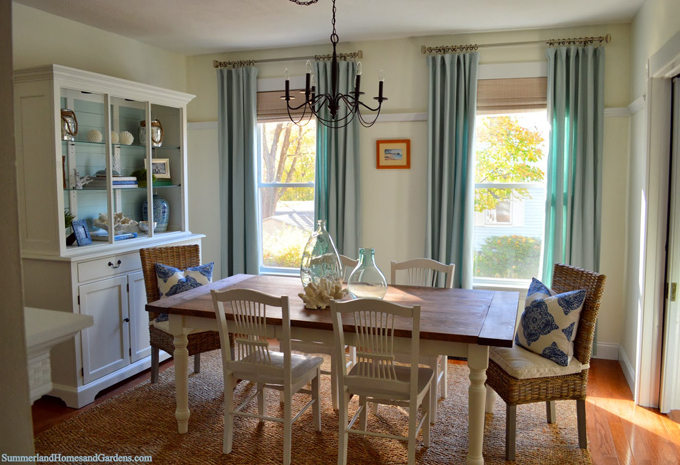 I’m so inspired by Elle Woeller, owner of Summerland Homes & Gardens in Massachusetts, who recently transformed her dining room in six short weeks! My favorite thing here is the beautiful hutch. 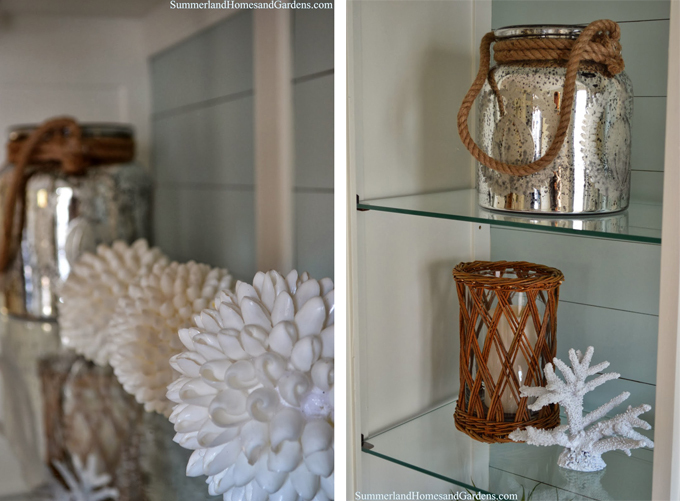 She actually found it on Craigslist and gave it a makeover with Benjamin Moore’s White Dove. 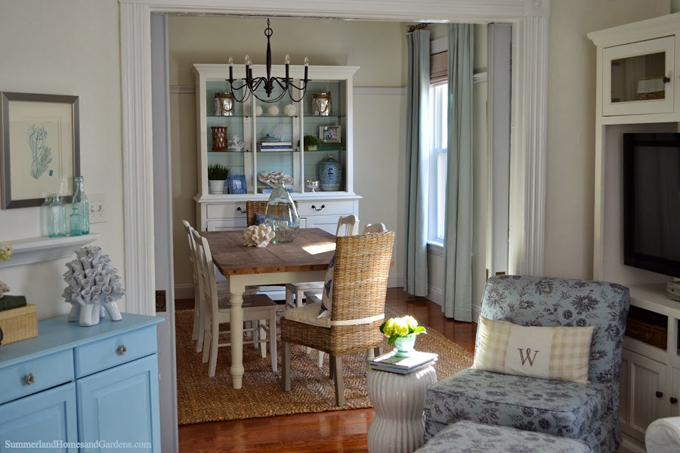 I LOVE that she painted the back Palladian Blue…isn’t it absolutely lovely?! 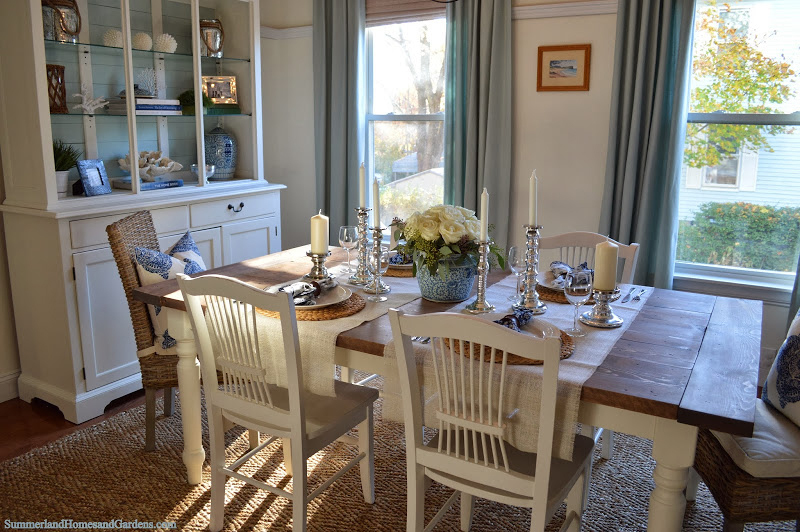 The coastal touches in it and throughout the room are great too! 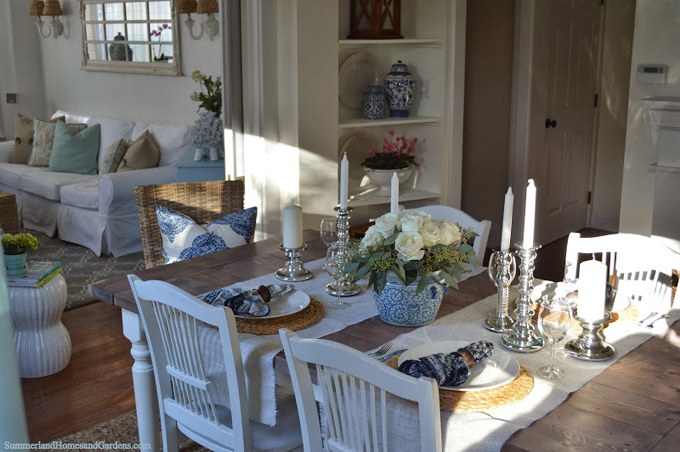 Love those wicker dining chairs (leave it to HomeGoods)! 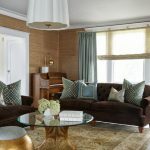 Visit Elle’s blog for the complete source list, and see tons more photos and read all about the room here! 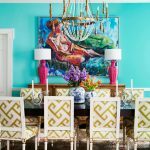 So fun to see Elle's beautiful home featured ~ it was fun to watch it come together in the One Room Challenge! Great job of layering textures and mixing up the old and new. 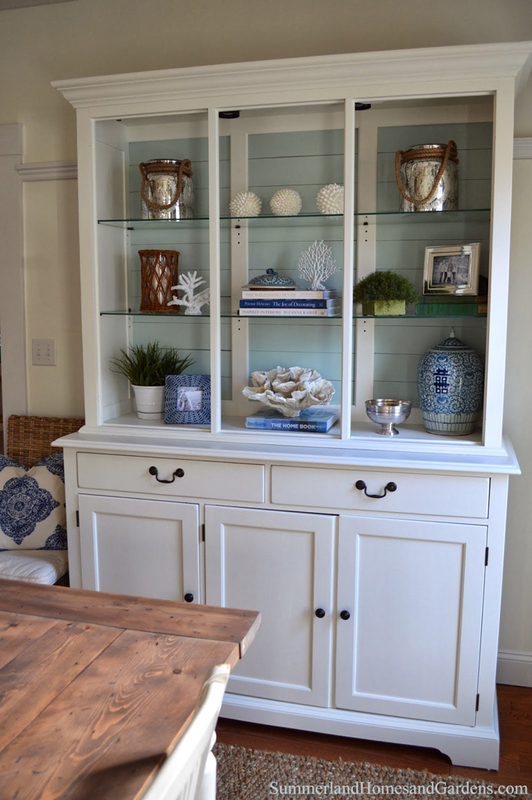 Palladian Blue is perfect as the background in the hutch, but she was spot-on with her accessories. Not everyone is gifted with a "good eye." Such a gorgeous home! 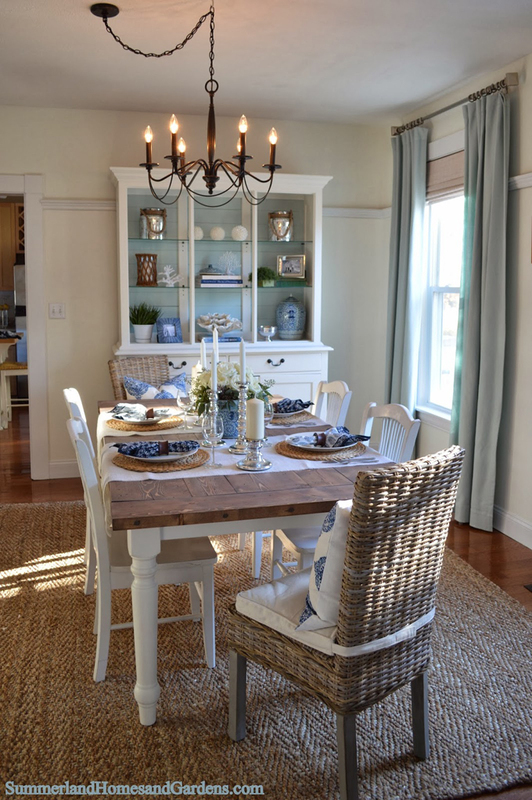 I love that dining hutch! The hutch is amazing and beautifully done. 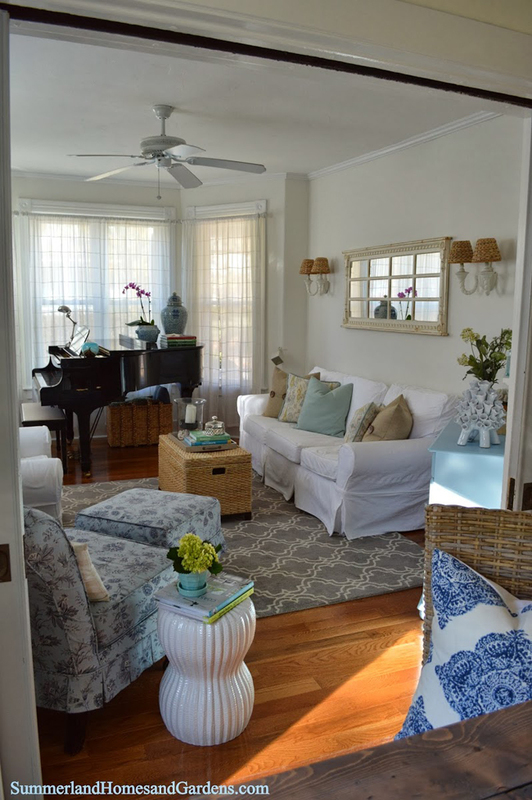 Love how she layered the colors of blue in this room. So wonderful! Love the color and the design.